It was only a few weeks ago that he was crowned World Manager of The Year. Taking Leicester City to an unlikely Premier League title made him the toast of world football. 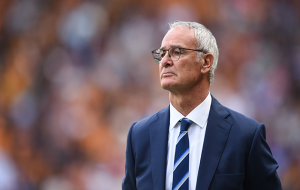 Now his position is under critical scrutiny, as The Foxes find themselves drawn into a relegation battle. The finger has been pointed at his under-performing players…the corroding of team-spirit because of the change in salary dynamics…the loss of N’Golo Kante’s midfield presence…the challenges of going again after the career peak of winning the title…and all of this are plausible reasons for Leicester’s decline. But ultimately it all comes down to the manager. It is his job to recognise exactly why his team are under-performing. And make the necessary re-alignments. A losing team look to their manager and leader to help them solve problems. They need to trust that he knows exactly what is going wrong and what to do about it. If they sense that he is unsure or just doesn’t know, then the trust is eroded. The players feel leaderless, which, unless you have a group prepared to take on the leadership mantle themselves, leads to a fog of uncertainty. Perhaps last season when team-spirit was tight and morale was high, this group of players could self-lead. But if spirit has been undermined by the new salary dynamics, then you get an absence of leadership. Problems remain unsolved, leading to confusion and unsettlement. All the hallmarks of a relegated team. When a manager loses the ability to solve problems, then he has to get help. Help that enables him to understand exactly why he’s not seeing the truth of his team’s under-performance. But asking for help is an admission that you can’t solve the problems by yourself. And if you are World Manager of The Year, surely you are an expert on problem-solving. Aren’t you?